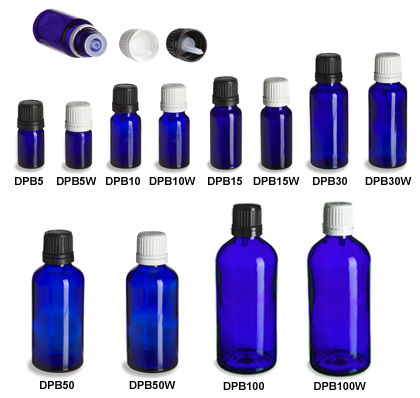 Our stunning cobalt blue European dropper bottles are made of high quality thick glass. The dropper fitment comes as part of the cap assembly and will dispense oils and other thin liquids a drop at a time when inverted. The bottles are widely used for essential oils and natural remedies, but can also be used for cosmetics or other liquid products. All bottles include dropper insert and tamper evident cap.